Sometimes, people follow instructions too well. 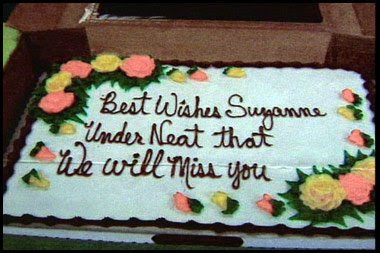 Please print "best wishes Suzanne" and underneath that, "We will miss you." This reminded me of a similar problem a man had with his tattoo.